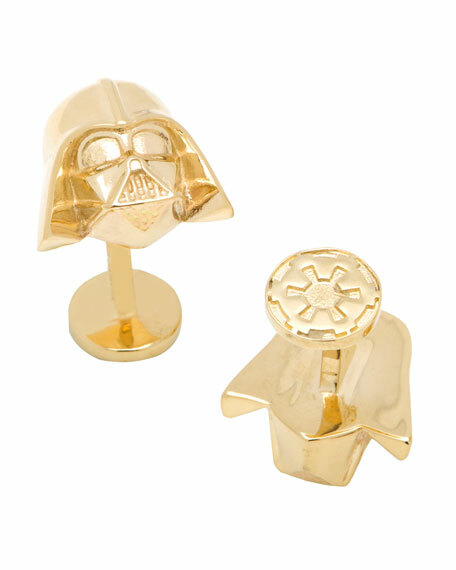 Bring a bold new management style into the boardroom with our exclusive, officially licensed Star Wars® cuff links, featuring Darth Vader's menacing visage in 14-karat gold. Darth Vader heads on fronts. Round backs with Galactic Empire symbol. Star Wars (c) 2013 Lucasfilm Ltd & TM. All rights reserved.